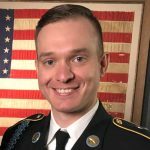 My name is Hunter Taylor and in 2015 I was a Specialist serving as a Squad Leader in a heavy weapons unit, Delta Company (Death Dealers) of the 1-506th IN REG. In April, I won the Soldier of the Year board for my Battalion. 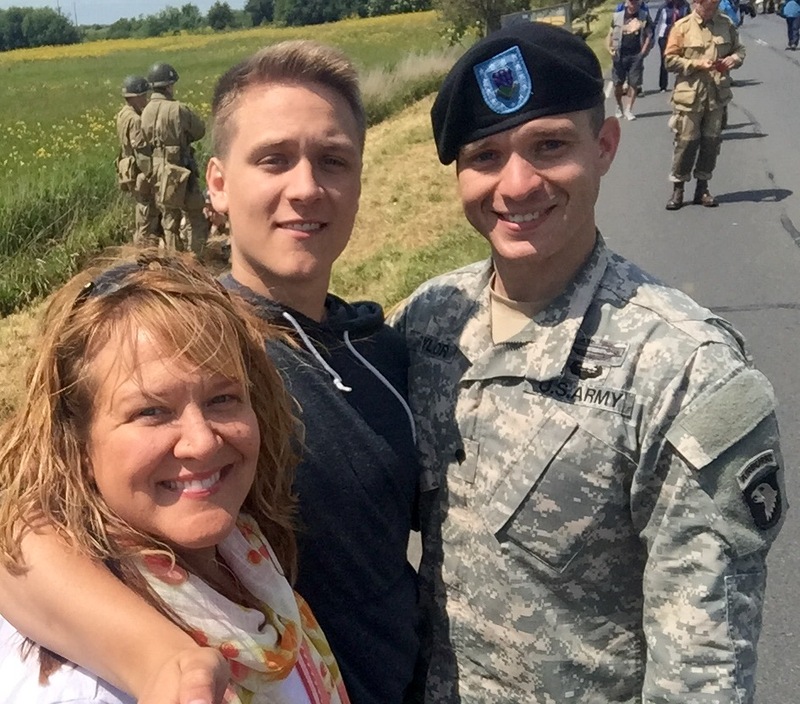 Typically, after you win a Battalion Soldier of the Year competition, you proceed to the Brigade Soldier of the Year. However, this year Currahee decided to incorporate a combatives tournament in the competition. Unfortunately (or perhaps most fortunately), I had not received combatives training in Basic Training (like most Soldiers). Despite the fact that I have studied self-defense systems on my own time, I was still disqualified from competing. Apparently, the Currahee Brigade Commander seemed to believe that I should be granted a consolation prize, a chance to represent the 101st Airborne during the D-Day ceremonies in Normandy. Little did he know how influential his generous decision would be. Before going to Normandy, I knew very little about France in general and much less about the Normandy region. My perspective had been based on stereotypes and French portrayals in film. I expected this to be like any military ceremony; a lot of standing around, waiting, marching. Essentially, I believed this would be more of an assignment than an experience. 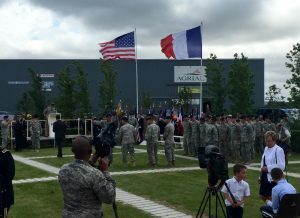 I and a compliment of Soldiers from the 101st arrived in Normandy on 1 June 2015 and immediately set out for the area designated for American forces in Ste. Mere-Eglise. This consisted of a large clamshell tent with approximately a hundred cots inside, it appeared my suspicions had been confirmed. Within an hour, we assembled into a conference room to discuss what we would be doing over the next week and that’s when I was caught by surprise. The next two days, myself and a group of Soldiers visited different historic sites, holding small ceremonies at each one. The French participated and watched with touching reverence. 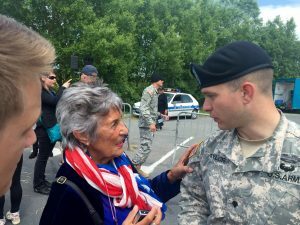 French men would dress as WWII Soldiers from 101st and 82nd units and they brought out their prized possessions, their restored military vehicles. The love and care they took to restore these vehicles was inspiring. The French women dressed as 1940’s women, in polka dot dresses and curled hair. One day, small groups of Soldiers were paired with French families that volunteered to host them for the evening. I had the honor and pleasure to be hosted by the LaColley family. They were extremely welcoming, showing me their family business and their neighborhood. We retired to their house for dinner, where I was able to experience true French food and drink for the first time. I had never been so accepted by strangers before and it is a feeling I will never forget. The next day my mother and younger brother arrived. I let them know they would have to find me near a field outside the town of Carentan. I was unable to give them any other specifics because I had none. My unit and I were assigned to participate in a parachute drop that day. 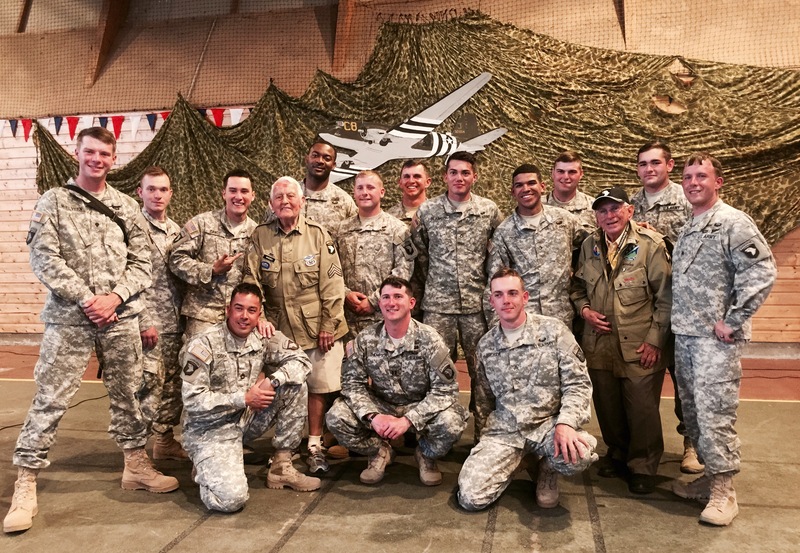 Our mission was to interface with the people in attendance and represent the 101st Airborne Division. It was difficult to find my family in the crowd of hundreds, but when we met, I could tell from the looks on their faces that France had already inspired them. Not long after reuniting with my mother and brother, we ran into a woman named Florence who asked to take a picture with me. Before long we became fast friends. Flo introduced us to her mother, Dany and we were captivated by her story growing up during the invasion. We promised to meet again. The following day was D-Day. 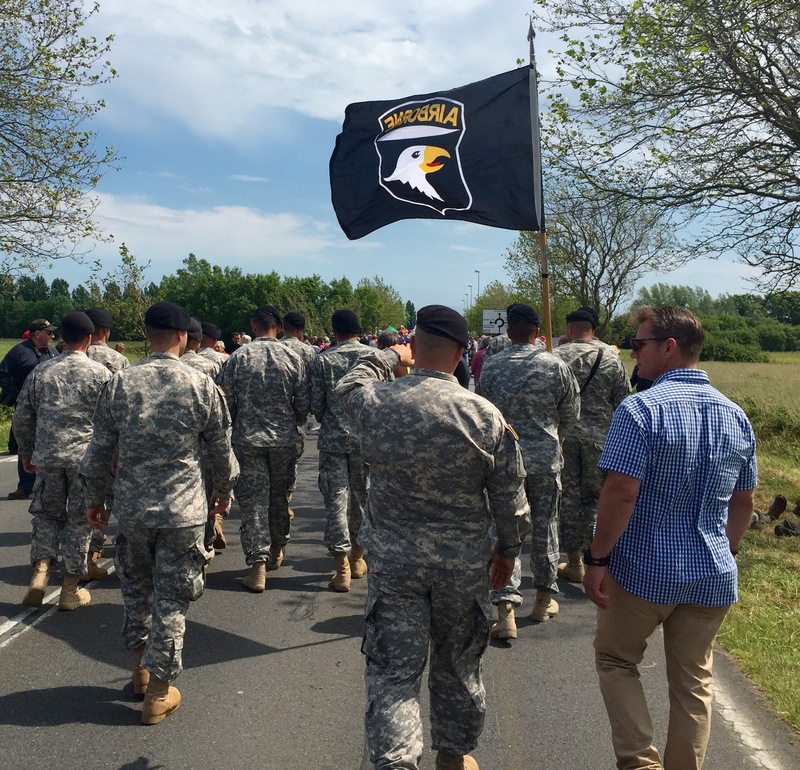 Massive ceremonies took place throughout the Normandy region and US, French, and even German Soldiers all participated in the events. The inclusion of the Germans was unexpected to me, but I was inspired by the ability of the French to forgive and include them in the days’ events. That evening, I was released to spend time with my family. We met with the Boucherie family for dinner at a nice restaurant where the food and calvados were a wonderful experience. On the way back, I was given the opportunity to drive Flo’s cousin, Flavien’s Jeep, which was a 1942 Willy’s Jeep that had originally been driven by the First Sergeant of my Battalion’s Charlie Company in WWII. We drove back as a group, singing songs in English and French, and as we were entering Ste. Mere-Eglise, fireworks erupted over the town. I will never forget that drive, the view, or the merry company of free men. It seems all of my preconceptions of the French people, all the familiar stereotypes, were wrong. These people loved us and loved what America stands for, the principles American was founded on. 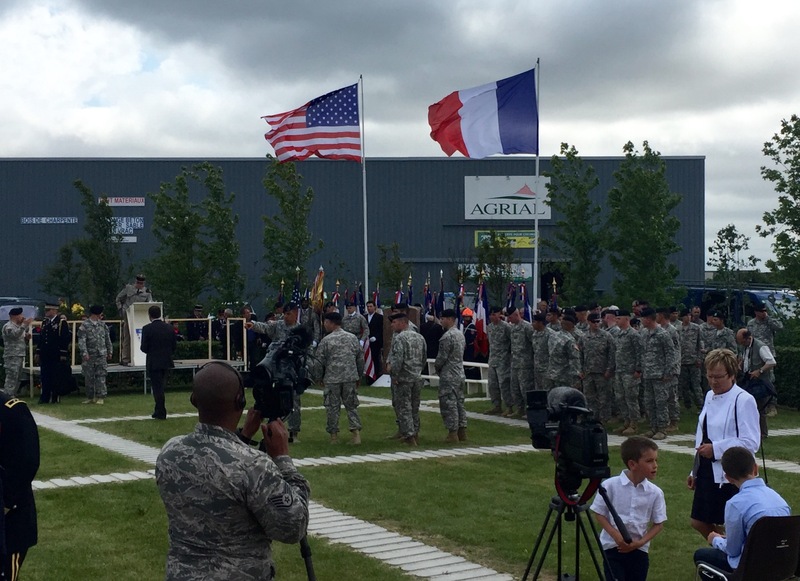 The Normandy French continue to keep these American principles alive through their remembrances. In America, I feel the value of remembrance has been lost and we desperately need to reclaim it. This is the purpose behind The Girl Who Wore Freedom, to tell liberation stories that have yet to be told and inspire us all to remember the importance of freedom. 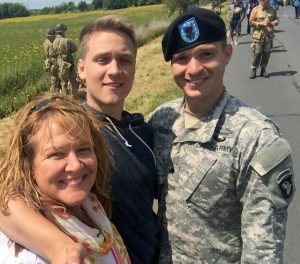 Hunter is the son The Girl Who Wore Freedom director, Christian Taylor. He currently serves in the military and is in school. Thanks for writing this! We’re all very fortunate that you had this experience. Thanks Nate! We appreciate you caring about this project and taking time to comment.